Calling all musicians! ONE Musicfest is offering budding singers and rappers the opportunity of a lifetime. This year’s “Searching for the ONE” contest will provide a select number of independent artists with the chance to take the stage at the festival and receive access to invaluable resources that will help them take their career to the next level. What are the benefits of being a “Searching For the ONE” winner? -Winners of the contest can jumpstart their careers as major artists. Past “Searching for the ONE” winners include Bosco and Tulani who have excelled in the music industry since performing at ONE Musicfest. -One grand prize winner will open one of the two performance stages at OMF 2018, receive a studio session with chart-topping BMI affiliated songwriters and producers, and be included in the Official OMF 2018 playlist. -Second, third, and fourth place runner-ups will have the opportunity to open one of the two performance stages at OMF 2018 or perform during a performance slot surrounding a complementary act. -All winners will receive custom graphics that will be shared on OMF’s social media, an artist page on the OMF website, and promotion across our app and blog. 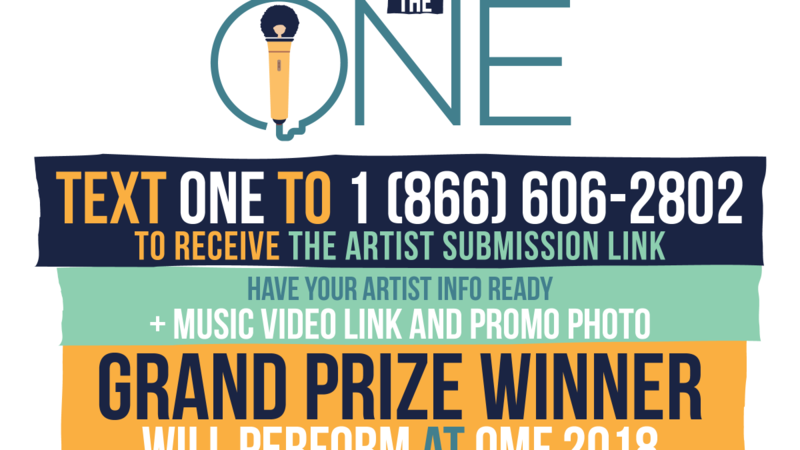 -The ONE Musicfest A&R team will review all entries and select an initial round of semi-finalists that will compete in a fan voting + A&R evaluation contest. -After submitting the required information, artists that are selected for the semi-final round will receive a text message with a link to their Searching for the ONE artist profile page to promote to their fan-base. -The artists with the highest cumulative score between fan voting + A&R evaluation will move on to the final round. -Artists will promote and engage their fan-base in voting during the semi-final and final rounds using custom links and phone numbers. -The artist with the highest cumulative score between fan voting + A&R evaluation will be announced as 2018 Searching for the ONE winner! Artists that are not selected for the semi-final round and final round will be notified via text and thanked for their submission. 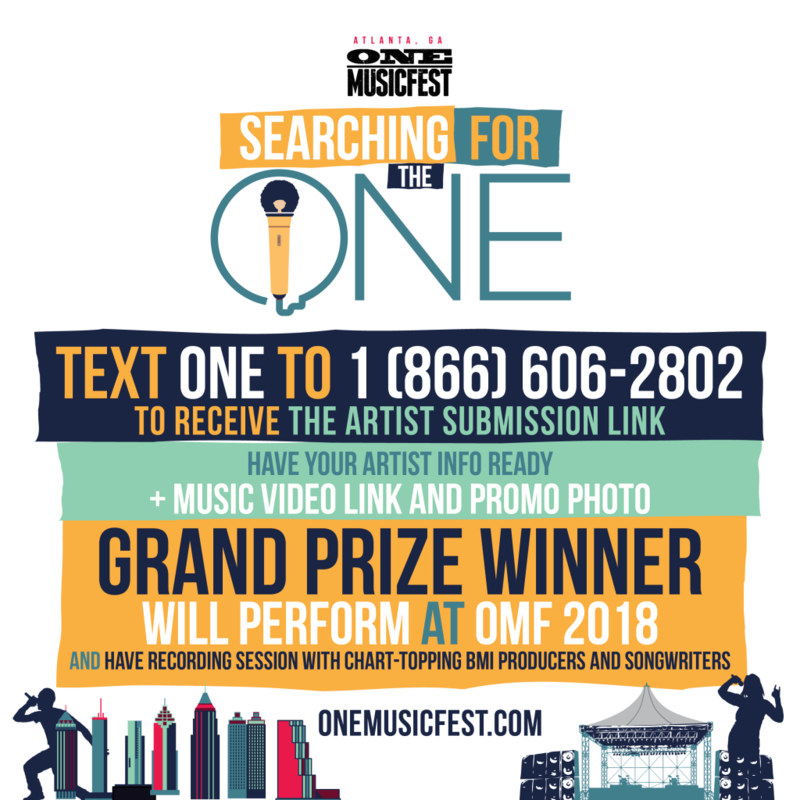 Artists, head over to onemusicfest.com/theone or text ONE to 1-866-606-2802 to enter to win ONE Musicfest's Searching for the ONE contest!